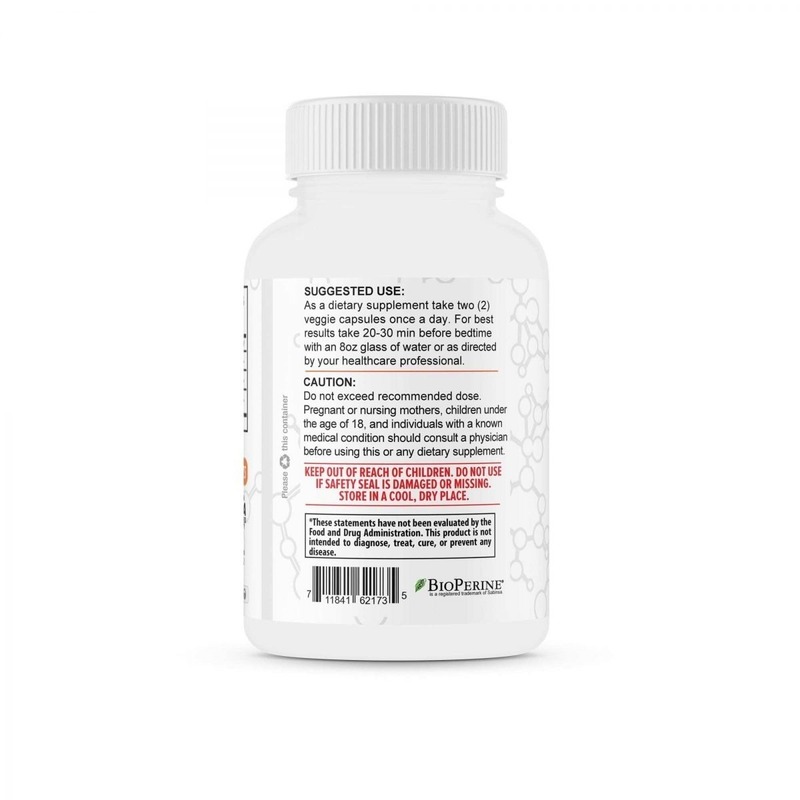 Happier & Healthier: Start working towards a healthier and happier life by supplementing with this powerful and potent Turmeric supplement. 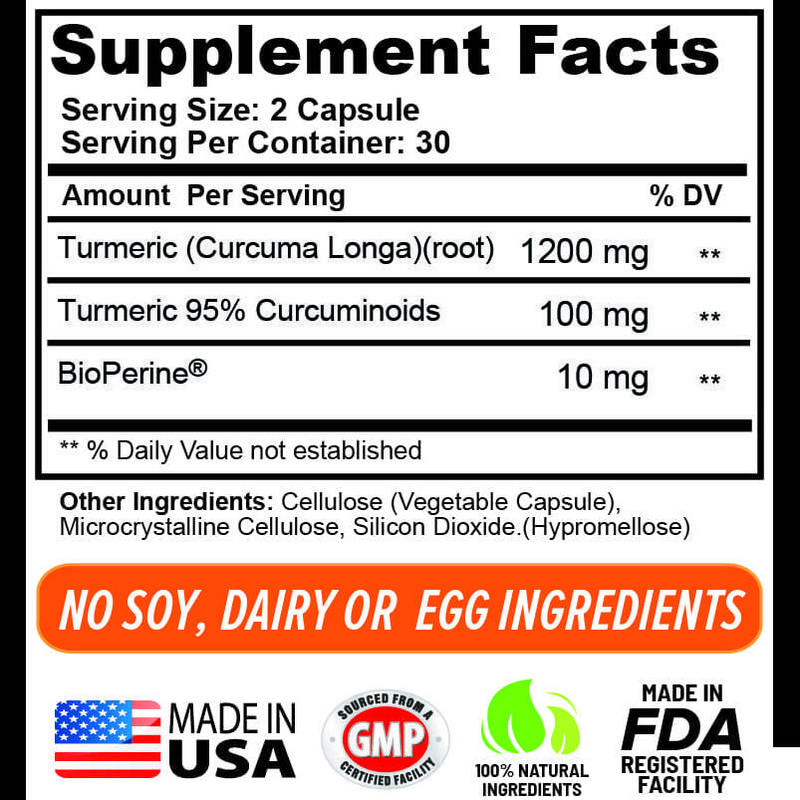 Most of Turmeric’s benefit comes from its strong anti-inflammatory and anti-oxidant properties. Inflammation is often what leads to pain in joint areas like knees, hands, elbows etc. It’s even shown to support a healthy brain, heart & digestive system! 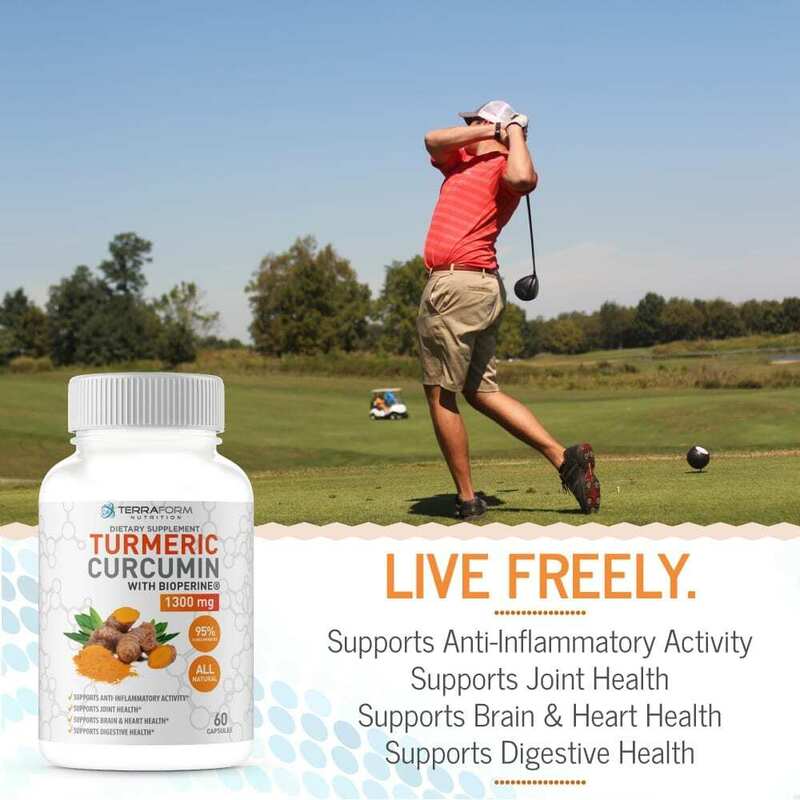 If you’re wondering if Turmeric Curcumin Root may be able to help you, the answer is simple: absolutely! 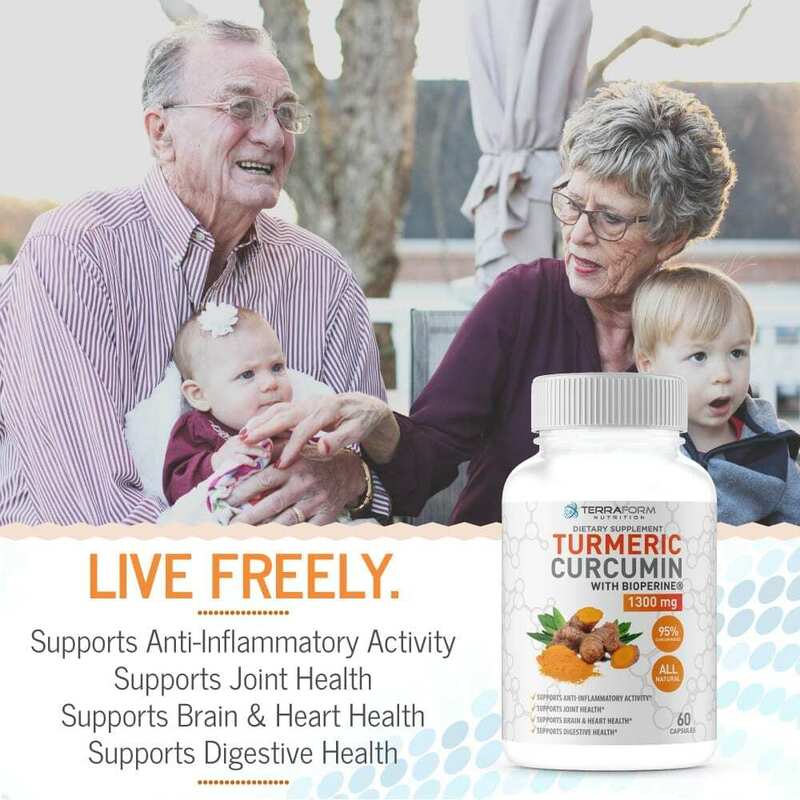 Turmeric is quickly becoming the go to super supplement for overall health and wellbeing in people of all ages for the simple reason that it works. One of the most common uses for Turmeric is for pain management and relief, especially around joint areas like knees, hands, feet, elbows, back and neck. The reason Turmeric is so effective is because of it’s strong anti-inflammatory and anti-oxidant properties. As you probably already know, chronic inflammation can lead to pain and soreness, something that can be difficult to treat unfortunately. There’s more and more studies connecting inflammation within the body to overall poor health, so having something natural to combat this is essential. Because Turmeric is such a powerful anti-inflammatory it’s even been shown to help with brain health, heart health and digestive health. 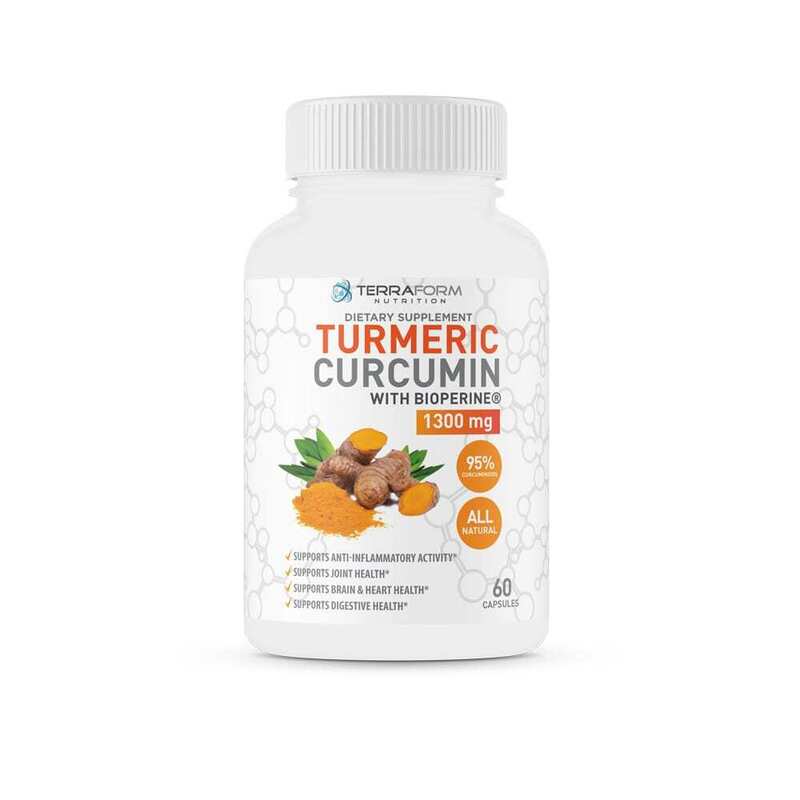 In order for turmeric to be effective, it’s essential that it’s taken in the correct form, dosage and with the right bio-availability enhancer to ensure it’s being absorbed. 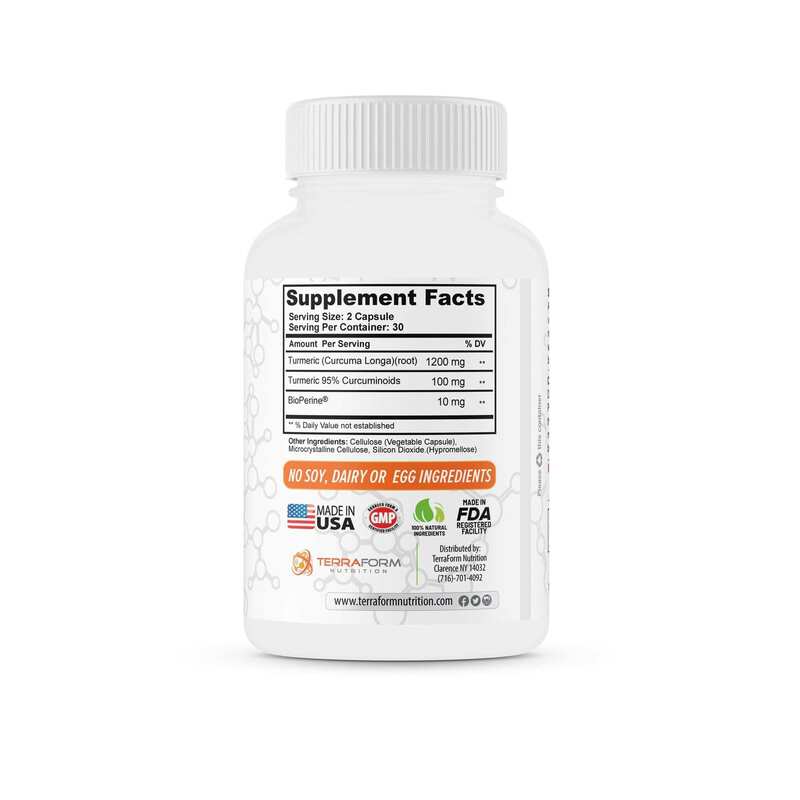 Most research shows a dosage from around 1000mg to 1500mg to be effective, which is why we built our formula at 1300mg. In addition to dosage is the extract strength, which is why we included an extract of Curcuminoids at 95%. 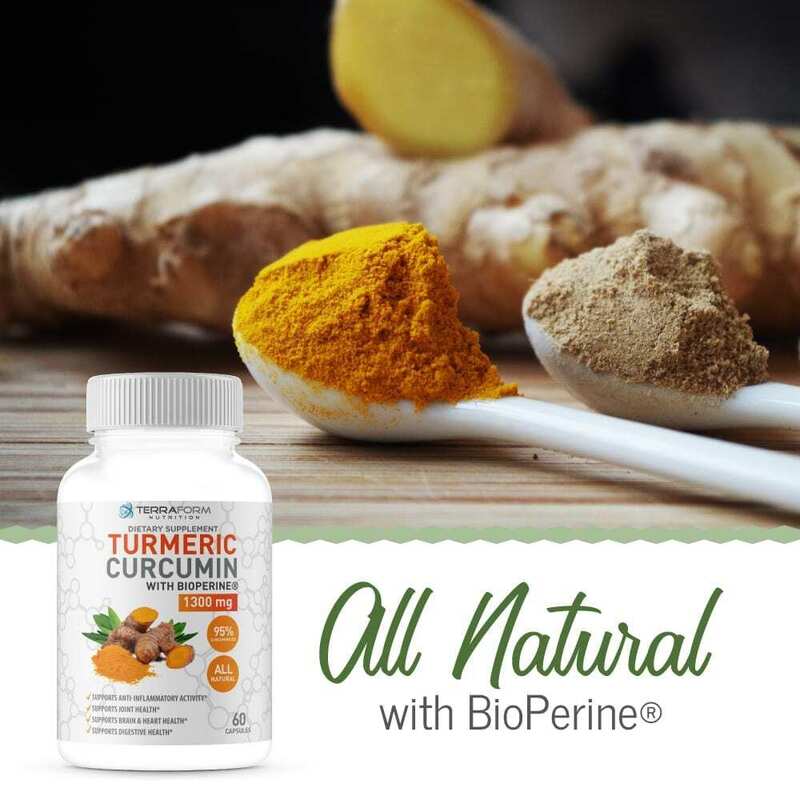 Lastly for turmeric to work, it must be absorbed by the body, so we included 10mg of BioPerine – shown in studies to increase absorption up to 2000%! Like anything else, turmeric may not help everyone, but it’s certainly worth trying. There’s really nothing to lose, especially when you consider our no questions asked money back guarantee.